Motivate your pupils with the Happy Cube puzzles. 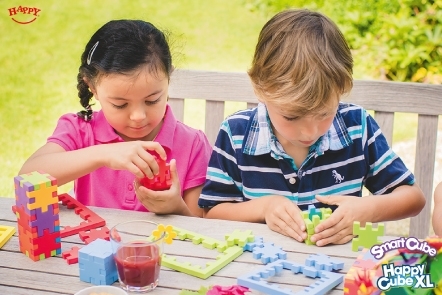 These educational foam toys make it possible to learn in a pleasant way. Great tools for building foundation math such as spatial and logical thinking. The brain gets activated when pupils think about their next puzzle step. Teachers and parents can easily assist pupils in this puzzle learning process while differentiating. We offer a large scale of puzzlecube difficulties, so every pupil finds an appropriate target. 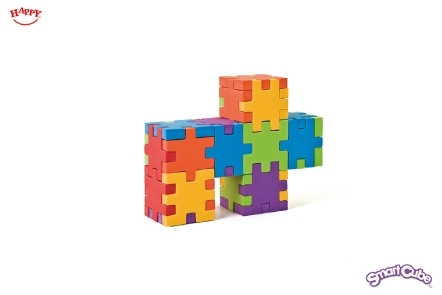 Gifted, disabled or struggling with learning difficulties, everyone gets motivated with the Happy Cube puzzles! 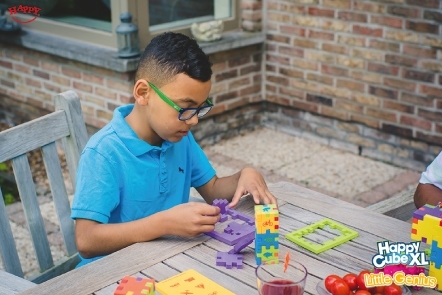 When children grow up 4 areas of development can be supported on a playful way by Happy Cube 3D puzzling: physical, emotional, intellectual and social development. Solid brain connections are made because multiple senses are used while playing with the Happy Cubes. Think, act and feel happy! Research with 59 toddlers during Smart Cube puzzling. The results? Very enthousiastic kids from which 63% was able to make a perfect cube in 5 minutes time. Amazing smart kids! A special 3D puzzle cube selection for in the classroom or at home, with a guiding booklet or cards with challenges in different levels. 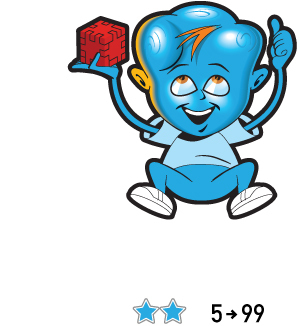 These Edu Cube Family members can be combined together (cube size 5 x 5 cm). 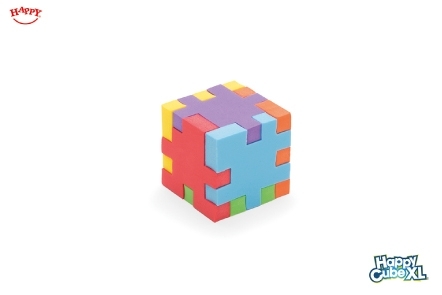 Above all, the Smart Cube puzzles are compatible with those of the Happy Cube XL. Extended puzzle fun for advanced puzzle kids! 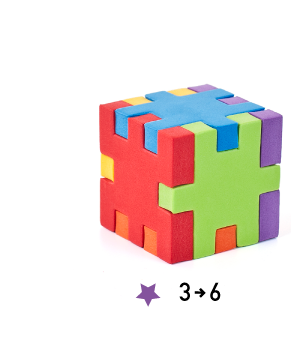 Smart Cube has six puzzles with a different colour, all in the same puzzle model. This makes it easier to make bigger constructions. Kids can get really creative and build letters, towers, animals or whatever their imagination takes them to. A great item for kindergartens and schools! 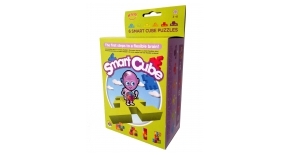 The Smart Cube 6-pack comes in a box with header and 15 double-sided 4-level instruction cards. The Smart Cube Edupack for kindergardens and schools includes 30 foam puzzles, 2 teacher and 26 pupil cards. Each puzzlemodel has its own shape and colour and can be combined into several constructions. To make it even more fun, each model refers to a city such as Milano, New York, Amsterdam, Paris or Brussels. The yellow model is called Tokyo, where puzzles are part of the city DNA. Get creative and astound friends and family with your impressive creations! 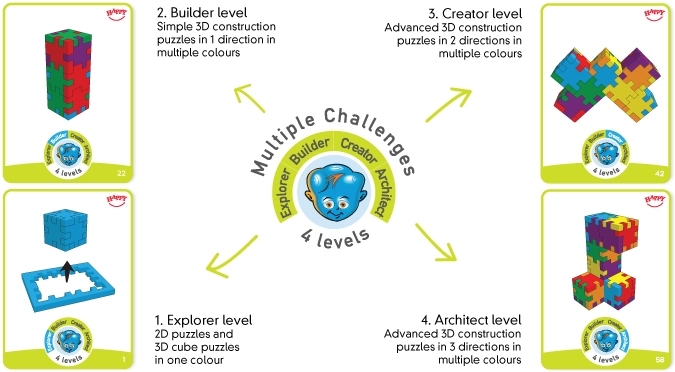 The 60 challenges on 30 glossy cards help you to become an explorer, making 3D cubes and 2D puzzles with one colour. As builder you are guided to build several 3D simple constructions (one way) with several colours. A creator has fun while creating advanced 3D construction puzzles in two directions with several colours. An architect creates masterpiece combinations using several colours in three directions. Additionally two educational cards are included as well. The 'game sequence' card explains how to play and the 'playful development' card gives an overview of the skills that can be obtained while playing. Happy Cube XL is compatible with the other Edu Cube Collection member Smart Cube. Take it to the next level by using both puzzle sets to make bigger and more complicated puzzle constructions. 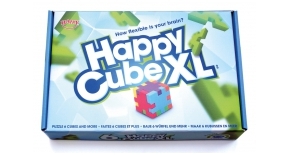 The Happy Cube XL giftbox contains 6 different extra large Happy Cube puzzles and 32 cards with 60 challenges. 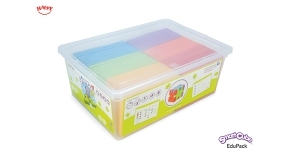 The box is made of sustainable carton and enables storage of the puzzles after playing. 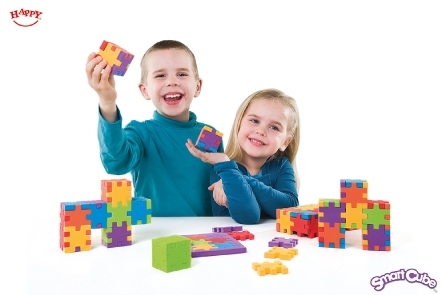 Make impressive masterpieces with a combination of all the 2 EDU CUBE COLLECTION sets together. 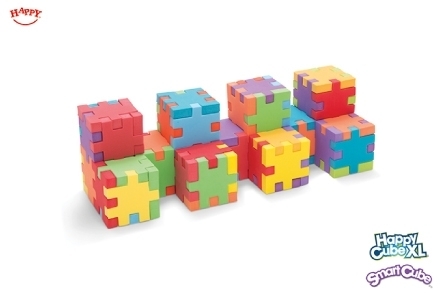 Combine the 5 cm puzzle pieces of Smart Cube and Happy Cube XL together into larger constructions.